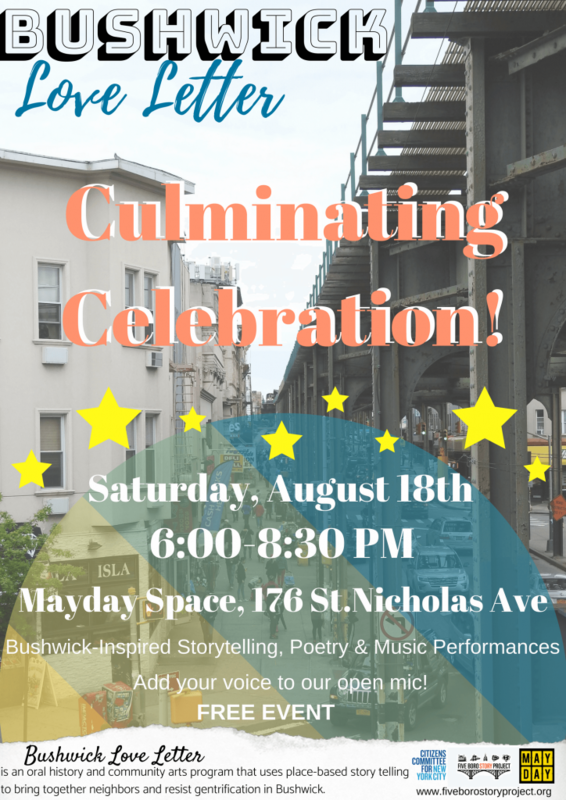 The culminating celebration of our “Bushwick Love Letter” series will feature performances of true life stories, songs, and poems inspired by Bushwick. Add your voice to our open mic, meet neighbors, share your love and concerns for Bushwick at our “Bushwick Love Letter” station, and plug into local activism around gentrification, housing, and zoning. 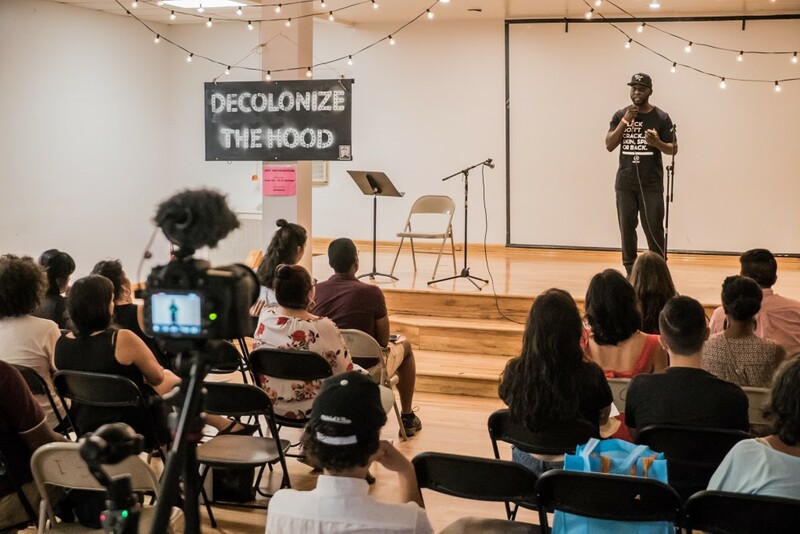 “Bushwick Love Letter” is an oral history and community art program that uses place-based storytelling to bring together neighbors and resist gentrification in Bushwick during summer 2018. By gathering stories and organizing performances that spotlight the long-time community’s love and concerns for the neighborhood, “Bushwick Love Letter” aims to strengthen connections between neighbors, resist erosion of local history and culture, and support local organizing efforts around gentrification, displacement, tenant protections, and housing activism. Learn more HERE. Mayday Space is located at 176 St Nicholas Avenue in Bushwick, a short walk from Dekalb Ave on the L train. View photos from the “Bushwick Love Letter” Culminating Celebration HERE.